So your little one is growing up and has so many interests and abilities you can barely keep up! Babyology has just the Christmas gifts for the five and up set. Don’t forget to use our fab Wishlist function to make your Christmas list! 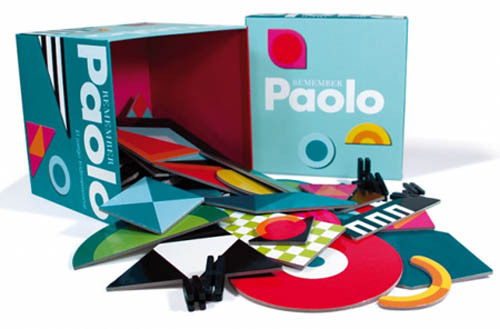 Paolo lets budding engineers and mini artiste’s build the most amazing, fanciful creations using pieces that look incredibly difficult for even the most determined baby to swallow. Perfect for families where infants mix it with toddlers and bigger kids. You can find Paolo for $79 at Design Dispensary in Melbourne, where staff will happily take phone or email orders and ship anywhere in Australia for only $6. While they’re still at an age where use of technology needs to be monitored closely, there’s no doubting the educational clout of Apple’s hallowed iPad. I saw an eight-year-old at a cafe immersed in a spelling game and boy she looked like an old hand at it! 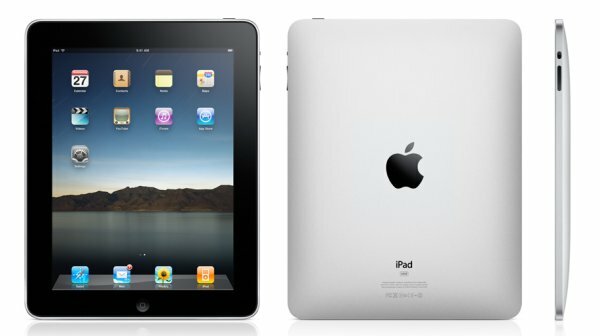 We just can’t go past the iPad as one of our top picks for kids five and over. It starts at $629 from the Apple Store. We don’t buy the idea that sewing and needlepoint is a female-only pastime and with divine designs for both boys and girls from Felicity Hall, it seems she agrees! 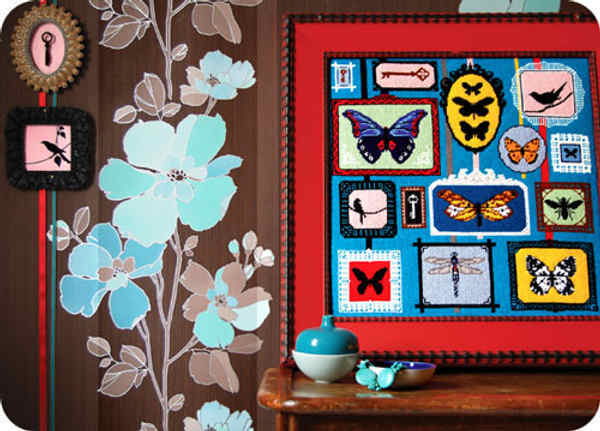 These kits are definitely for the older child and are so exquisitely beautiful, they’ll get that rush of satisfaction which comes from completing a big project. Order now from Felicity Hall’s Etsy store and you’ll have them in time for Christmas (they have to come from the UK)! They’re now old enough to look after a living thing (under adult supervision) and this amazing Chrysalis Kit will have the whole family enthralled. It should take from four to twelve days for the butterfly to hatch from the time your kit arrives. What will emerge in all its glorious beauty is a gold-dotted Monarch butterfly. Included in the kit is one chrysalis (the hard-shelled pupa of a butterfly), a see-through enclosure for observations and a label featuring butterfly legend and instructions. You can order additional chrysalises so you can use the hand-made enclosure again and again. 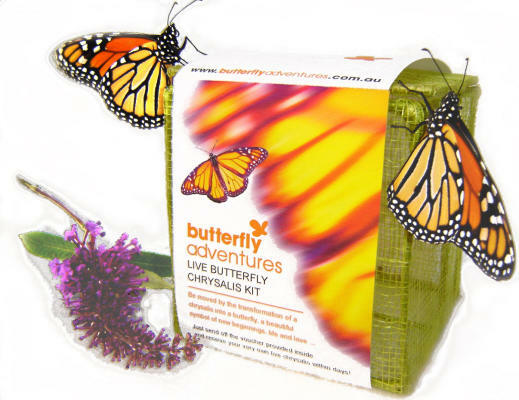 The Chrysalis Kit costs $35 with one chrysalis, $50 with two and $65 with three (includes delivery) from Butterfly Adventures. Each additional chrysalis is $14.95. 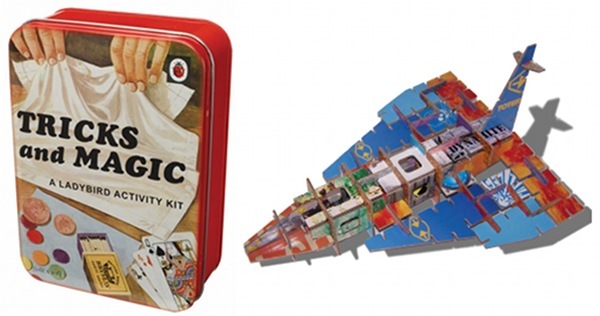 Looking for something a little out-of-the-box for a gift or new activity for the family? Here’s a game which will see you through many leisurely picnics in the park and those daily backyard outings, giving you a breather while the kids play. 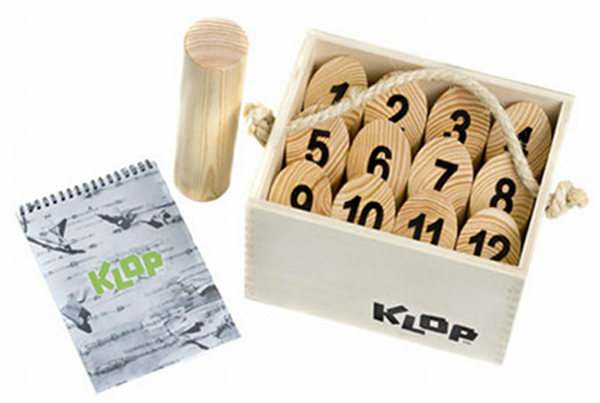 Klop is a log tossing game from Finland where the object is to knock over single logs and be the first to attain a score of fifty. Think of the numeracy benefits for primary school-aged children who are learning to add single and double digit numbers! Get KLOP from Quirky Kids Online for $69.95 plus post. We just love these indie art, literary, craft and science mags! 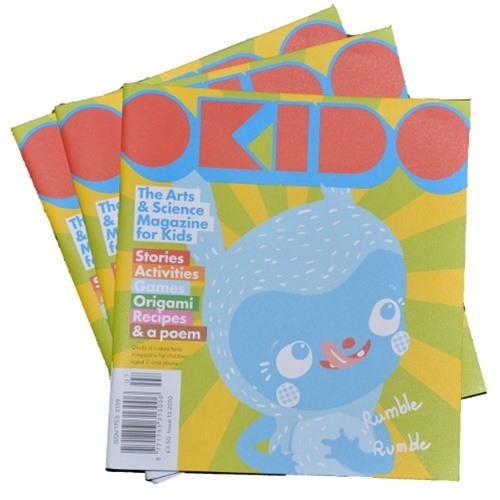 Anorak and Okido are something a little different from their take home readers and younger kids can enjoy the pictures and articles if they’re not quite reading yet. 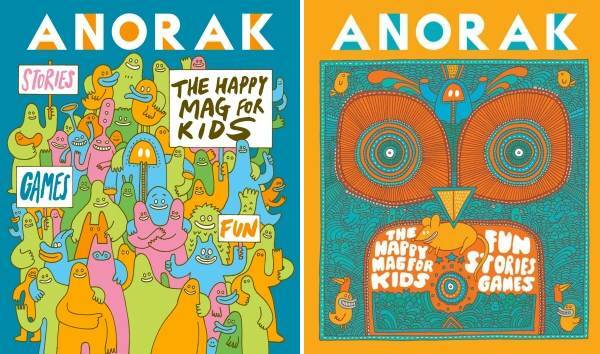 Anorak is $12.50 per issue or $45 for a year’s subscription from Lark. Okido is $12.95 per issue from Monkeytail and Wellington. After writing about these I just had to have one! I love my Too Late watch and they come in two sizes so any size or age of kid can wear one. Designed to work no matter what you’re doing, whether it’s swimming, hiking or rumbling, this watch is made to endure it all. Kids won’t have to baby it during play and you don’t have to be tense about breakages. They are shock-proof and anti-scratch and work just as well under water as they do out of it. 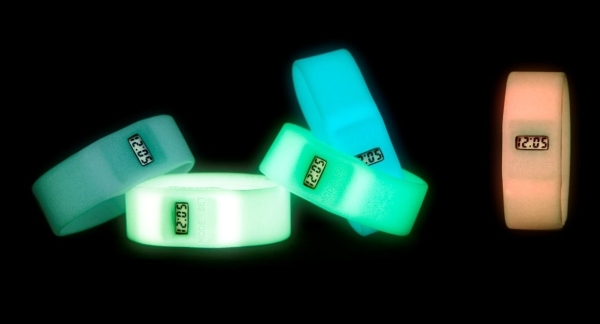 Get both the original and glowing Aurora versions for $39 each from Sillycone. There’s nothing like a good kit for kids five and up and now more than ever, we are utterly spoilt for choice! Kits are great for learning about traditional skills such as knitting, magic tricks, construction and science. Kits take full advantage of a child’s thirst for knowledge and burgeoning fine motor skills while providing achievable boundaries. Just Toy’n Around stock an amazing array of kit choices so check them out and choose something which will interest them. Also have a look at the Dumpling Dynasty kit range at Ten Little Indians and Seedling Kits at Rudy and the Dodo. Have a little puzzle hog in your home? Time to get them something more open-ended! 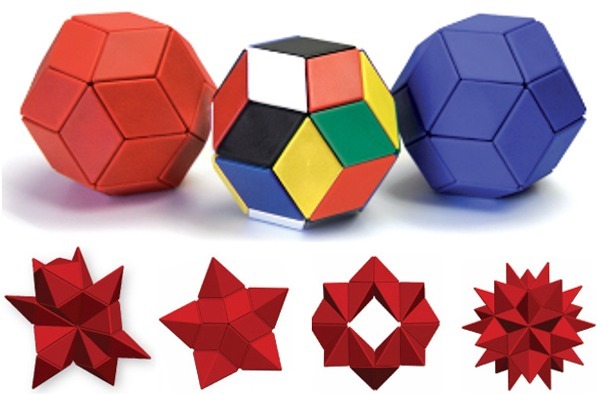 Ball of Whacks is a puzzle made from thirty pyramids and held together with 180 super-strong magnets. It’s a great shape-making activity to do together, and you may just end up being as enthralled as they are. Each puzzle is $45 and now available locally through Smarter Puzzles, who also have spare pieces for sale at just $2.50 a pop if any should go walkabout. You can have one in black, red or blue, with a six colour option also available. Buy two or more items and shipping is free! 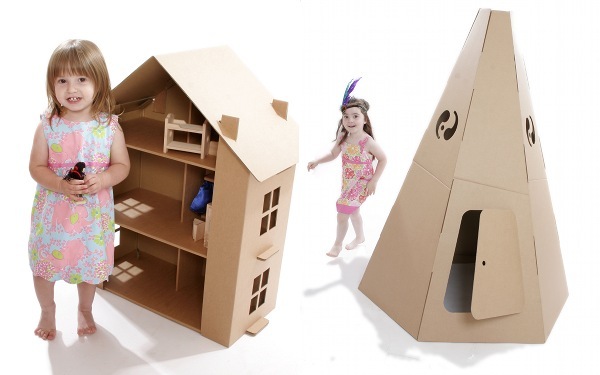 All models come in plain beige cardboard which gives you a great opportunity to do your own decorating. Just give the kids paint, brushes, crayons, felt markers and let their imaginations and creativity run wild. The real corker for parents — just collapse it down and put it away once you have finished. Paperpod has just launched in Australia and is available from Little Living. When kids get older they accumulate an incredible amount of stuff. Helmets, fedoras, hat collections, beanies, scarves – you name it, they’ve got it. How about some groovy hanging racks for their bedrooms this Christmas so you can get all that stuff up off the floor! 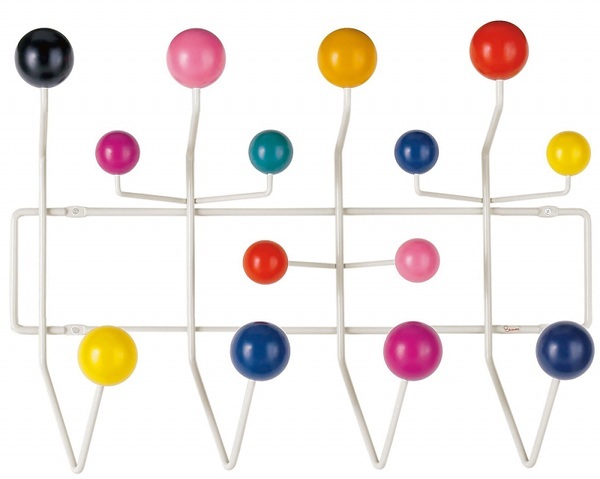 Go for an Eames Hang It All for $259.95 from Bebe, or a Wallter Slat Rack for $220 from Wallspace.